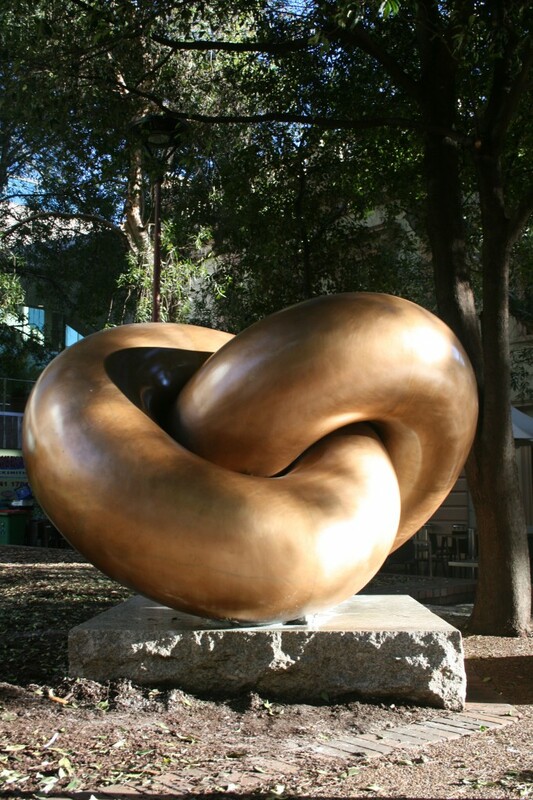 This memorial sculpture consists of two large bronze rings joined together as in a chain. It has weathered to a dull copper colour rather than the musty green colour of weathered bronze. The sculpture rests on a granite slab donated by the City of Portsmouth and is set on a low sandstone plinth. The sculpture was created as a symbolic memorial to the First Fleet, marking the Bicentennial of its arrival on 26 January 1788. It is a companion piece to one created by the same sculptor and erected in Portsmouth, England to mark the departure of the First Fleet. Symbolically, the chain extends from Portsmouth to Sydney over the route travelled by the First Fleet. 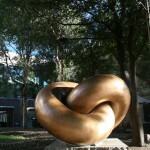 The last two links of the chain form the memorial at Circular Quay and cement the bonds of friendship between Britain and Australia represented by Portsmouth and Sydney. 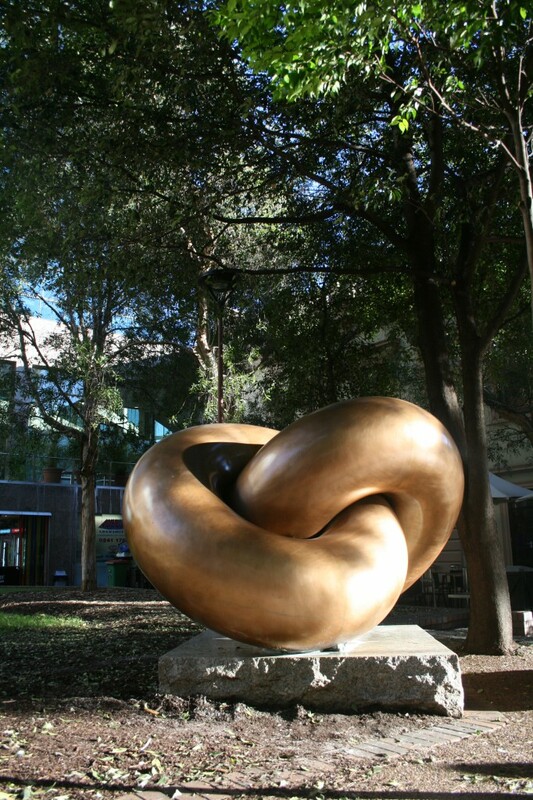 The surfaces of the sculptures are also rich in symbolism; the Portsmouth one has a dull painted surface to denote the ‘old country’ and the links of the chain in Sydney are highly polished brass to represent the ‘new country’. 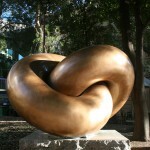 The Australian sculptor, John Robinson was living and working in England when he created these works. Through the sculpture he expressed his conviction that the future of civilisation depends on friendship, co-operation and trust. John Robinson was born in London in 1935 and lived in Australia from 1940-1943 and from 1952-1969. During these years Robinson worked as a jackeroo, trekked on horseback 1,100 kilometres through the King Leopold Ranges in the Kimberley’s and farmed land in the South Australian Ninety Mile Desert, an experience that formed the basis of some of his later work. It was not until late this decade that Robinson decided to become a full-time sculptor and travelled to Europe. By 1975 he had created the first of the bronze sculptures in his Universe Series, where he uses shapes found in nature to symbolically represent the various meanings of life, mortality and immortality. It was soon after the first public display of this series that Robinson was commissioned to sculpt the Bonds of Friendship (no. 47 in the series) in larger proportions. 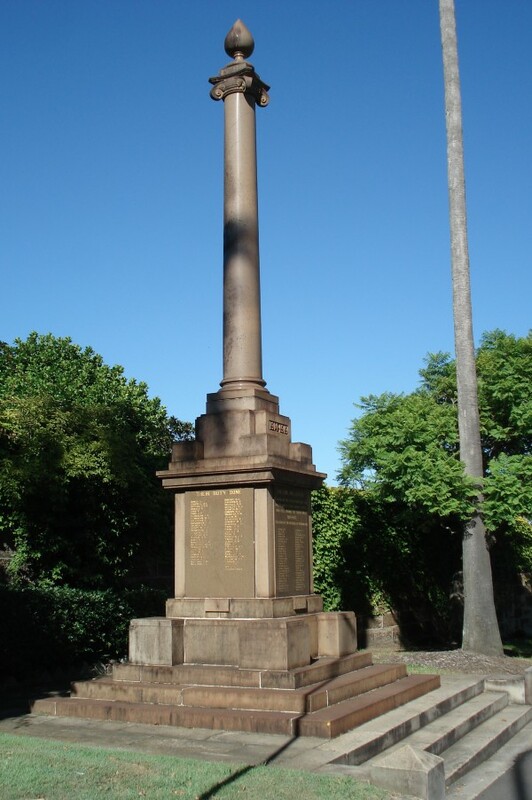 The initial impetus for this monument came from the Fellowship of First Fleeters, a group that admits only direct descendants of the original First Fleet as members. 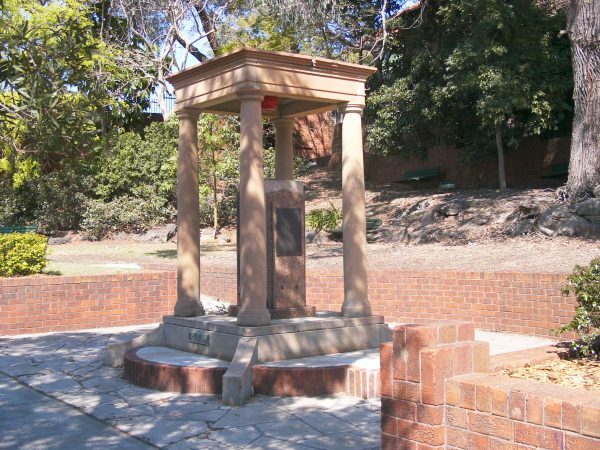 The Fellowship approached the Sydney City Council in 1977 with a proposal to establish a memorial to the First Fleet, marking the bicentennial of its arrival on 26 January 1788. The group was aware that a block of New South Wales granite had already been presented to the City of Portsmouth by the City of Sydney to commemorate the departure of the First Fleet in Britain. 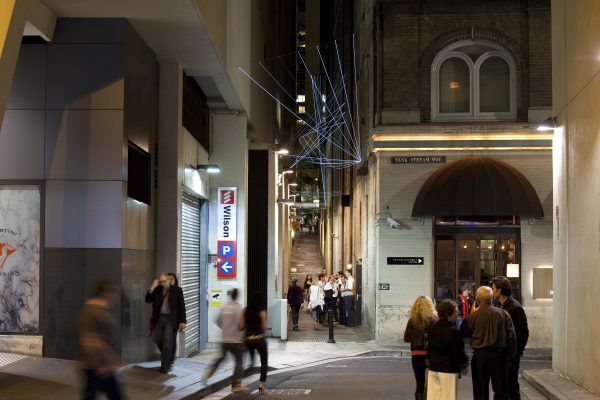 In February 1978 the Sydney City Council gave approval in principle to the request. At this time it was envisaged that the project would take over a decade, but the reciprocal gift of a block of English granite – quarried at Dartmoor and offered by the City of Portsmouth – provided impetus to shorten the timeframe. When the gift had been formally accepted in November 1978, the Fellowship of First Fleeters and the Council thought to target an earlier date for the memorial’s unveiling. 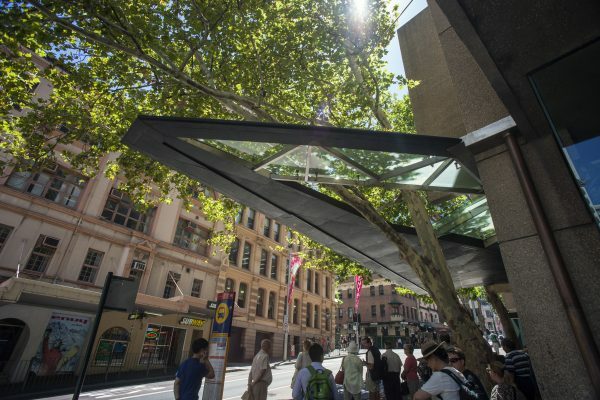 A site in front of the Sydney Customs House, close to the spot where the first landing took place, was set aside and the granite block was set on a low sandstone plinth and unveiled on 2 July 1980. In the interim the Commemoration Committee at Portsmouth chose a sculpture to surmount their granite memorial. 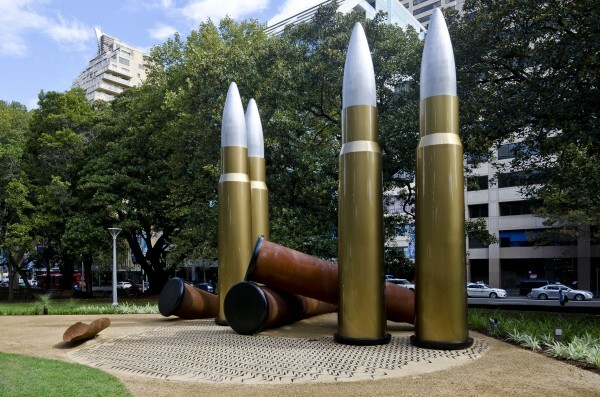 When this news reached Sydney, the Bank of New South Wales offered to donate a duplicate of the sculpture for the Sydney memorial. The completed monuments were finally unveiled in Portsmouth on 11 July 1980 and in Sydney on 17 September of the same year. 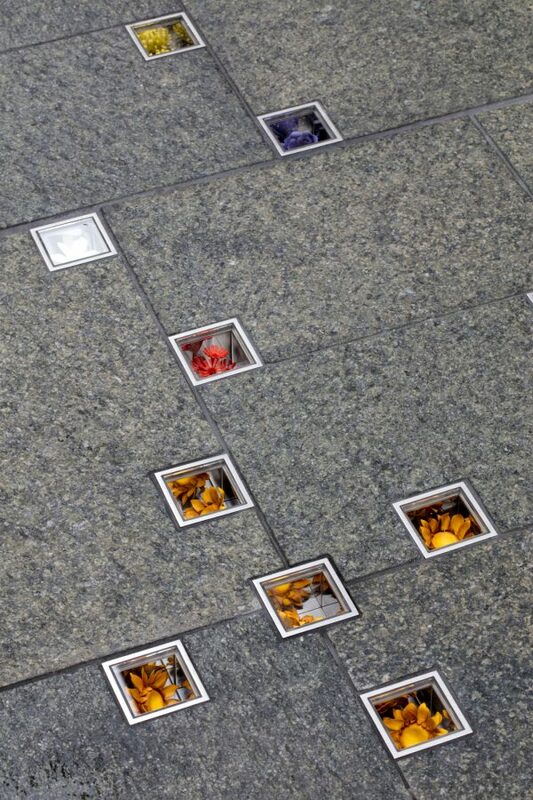 “This memorial commemorates the voyage and arrival in Sydney of the First Fleet which brought to Australia its first European settlers under the command of Captain Arthur Phillip, R.N. the fleet sailed from Portsmouth on 13th May 1787 and anchored in Sydney Cove at a spot just north of this memorial on 26 January 1788. The fleet comprised of eleven ships, HMS Sirius, Flagship, HMS Supply and armed tender, six transports, Alexander, Lady Penrhyn, Charlotte, Scarborough, Friendship and the Prince of Wales – together with three storeships, Fishburn, Golden Grove and Borrowdale. At departure they carried a total complement of about 1487 that embarked at Plymouth, Portsmouth and the Thames. The Plinth of the Memorial was donated by the Fellowship of First Fleeters, all of whom are direct descendants of those who arrived with the First Fleet. The granite block above the Plinth was quarried at Dartmoor, England, and donated to the City of Sydney by the City of Portsmouth as a return gift for a similar block of granite from NSW given to them by this city. 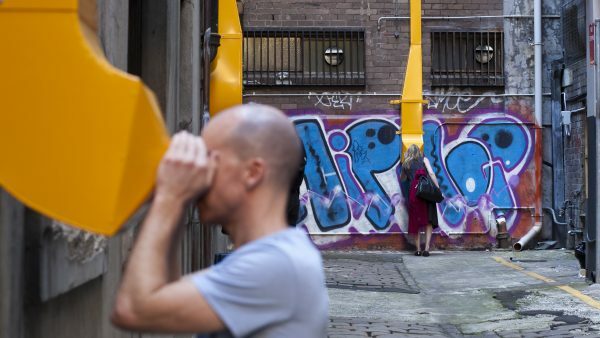 It was set in place by the Lord Mayor of Sydney of 2nd July 1980. 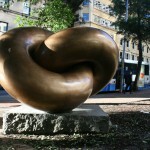 The sculpture, Bonds of Friendship, was presented by the Bank of NSW. 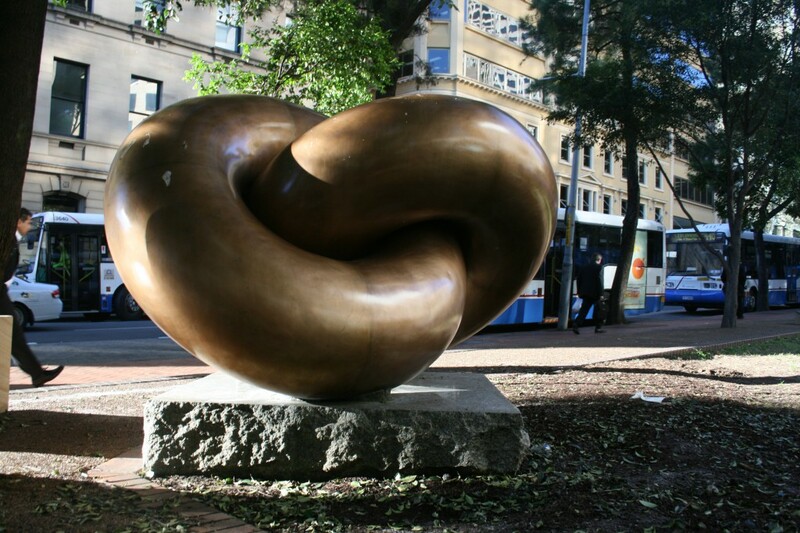 It is a companion piece to one erected by the Lord Mayor’s Australian Settlers Commemoration Committee of Portsmouth and which is located near the Sally Port at Portsmouth and Sydney as a result of the voyage of the First Fleet and represents links in a chain joining both cities. It was designed by John Robinson. The donor, the Bank of NSW, was the first bank and the first Corporation established in Australia. The Bonds of Friendship was unveiled on 17th September 1980 by / His Excellency Sir Zelman Cohen A.K, G.C.M.G., / G.C.V.O., K. St. Q.C. Governor General of Australia / Alderman Nelson Meers / Lord Mayor / L.P. Carter O.B.E. / Town Clerk”. At the bottom, an inscription reads: “Mrs. B. Lewis / President; Sir Noel Foley, O.B.E. / President / The Fellowship of First Fleeters; Bank of New South Wales”. This memorial commemorates the voyage and arrival in Sydney of the First Fleet which brought to Australia its first European settlers under the command of Captain Arthur Phillip, R.N. The fleet sailed from Portsmouth on 13th May 1787 and anchored in Sydney Cove at a spot just north of this memorial on 26 January 1788.